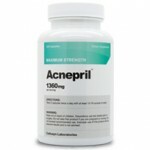 Amidst all the acne treatments available, there are cures for acne scarring. Residual acne marks, skin discoloration, and post-acne scars do not have to be permanent skin damage. 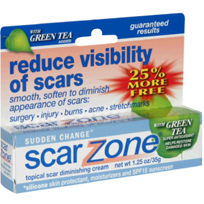 Does Scar Zone A have what it takes to help you get rid of these unsightly scars? It’s not an easy task, so we will have to take a close look at the ingredients in Scar Zone A before we can make a judgement call about it. Scar Zone A is a topical treatment designed to help alleviate existing acne and reduce any type of scarring, including those caused by acne. As an intensive cream, Scar Zone A layers the damaged skin with a healing formula to restore healthier looking skin. The treatment combines two different objectives, eliminating acne and erasing acne scars, into one convenient treatment.No one should expect an overnight scar treatment for brand new skin the next morning. Scar Zone A is a gradual fading process, it re-balances skin tone and fixes the skin texture while also helping prevent new breakouts. The formula for Scar Zone A combines skin protectants, moisturizers, and even SPF. Altogether the skin should be able to heal and be protected from any additional damage caused by environmental factors. The base ingredients in the formula include salicylic acne and green tea. Salicylic acid is a common over-the-counter medication for acne that helps reduce inflammation and swelling. Green tea uses its antioxidant properties to repair the skin. Green tea is also a mild skin lightening agent to help reverse skin discoloration.Side effects associated with the use of Scar Zone A may be attributed to salicylic acid. Is Scar Zone A Safe? Salicylic acid can cause slight skin irritation, redness, or itching. The addition of green tea may help compensate and alleviate these potential side effects. 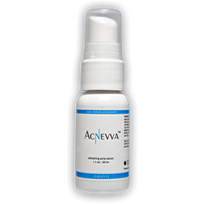 The formula for Scar Zone A is not necessarily an impressive attempt at diminishing acne scarring. Scar Zone A will be effective for light scarring, however, severe acne scarring will not be treatable with this cream. As far as eliminating existing acne, Scar Zone A can be beneficial but it is not the best treatment available. The tricky part about acne is that the prloebm can actually become worse if you overmedicate. That’s because acne medication can overdry the skin, causing a boost in your skin’s Sebum (oil) production. This results in you guessed it more acne.So what’s the long term solution? 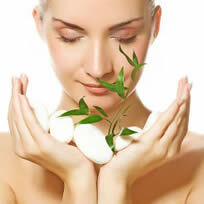 Find gentler solutions or even natural acne cures that won’t shock your body into more breakouts. Here’s what I recommend:- Use a glycerin based facewash. Glycerin is gentler and will balance the ph levels in your skin.- For body acne, try using an antibacterial soap to slowly dry out the skin. If your skin gets too dry, switch to a moisterizing soap like Dove to counterbalance the effect.- Wash your face only 2 times a day max and gently pat dry with a towel.- Use a gentle face moisterizer if the glycerin based face wash drys you out too much.- Eat almonds, fiber, drink lots of water and avoid excess sugar intake.- If acne medication isn’t working or causing new breakouts, try applying egg whites to the pimples at night before bed. This natural remedy works great.- One of my favorite natural skin conditioners is wearing an oatmeal mask . The oatmeal with smooth your skin while simultaneously absorb toxins and oils from your pores.- Lemon juice also dries up pimples and kills any bacteria in the infection.For more great remedies, check out the Source link Below.Best of Luck! I’m honored to get a call from my friend as he uncovered the important recommendations shared on your site. Looking at your blog write-up is a real amazing experience. Many thanks for thinking about readers at all like me, and I desire for you the best of success as being a professional in this field.